Asia’s largest literary festival had a great start today with huge crowd. The Diggi Palace is again honored with writers, speakers and poets all over the world. The Registration and security check points were flooding with people with cameras in there hand. Jaipur Literature fest is more a fashion street wearing classy attire, where people around the world come and represent their culture. The fest was inaugurated by the honorable chief Minister Ashok Gehlot. The main highlight of an event was His Holiness Dalai Lama who was in conversation with Pico Iyer discussing ‘Kinships of Faiths: Finding the Middle Way’ which was started at 2:15 till 3:15. The JLF calender was also introduced by HH Dalai Lama. During the discussion, the man with disciplines and principles, Dalai Lama said, “My followers should not follow my teachings for faith but for the experience of life”. He also mentioned that science is a killer of religious faith. Science is seeking reality through analysis and investigation, Buddhist way is also the same. He believes that without momentum change, obvious change cannot take place. The crowd was patiently listening to the statements of HH. During the conversation he also said that scientists never discuss about monks, moksha or nirvana, but we (Buddhists) do. He said, “I am trying to show people basic and essential ethics for happy community”. The discussion was then followed by interaction with the audience. 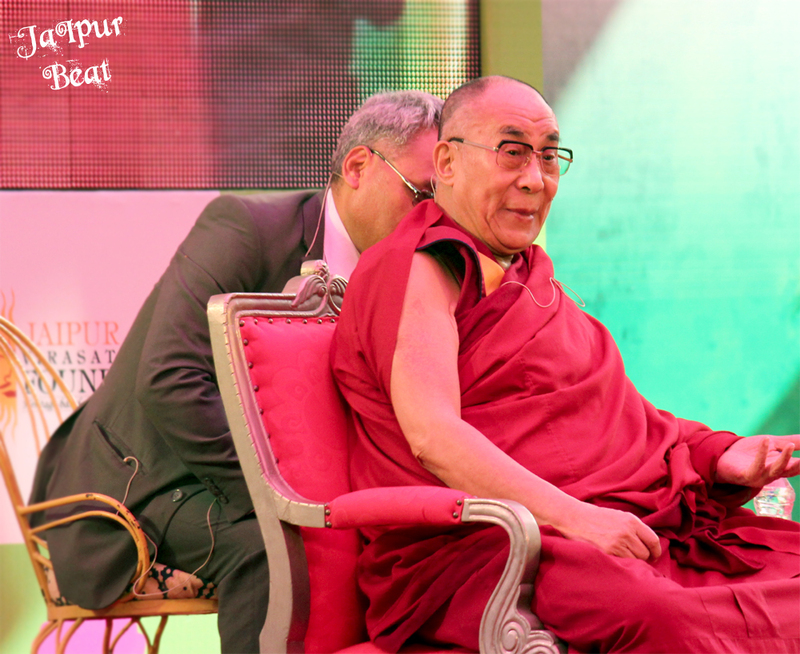 For some, just a glimpse of His Holiness Dalai Lama was all to attend Lit Fest. The next session was ‘Remembering Sunil Da’ Film, readings by Sharmila Tagore, tributes by Aruna Chakravarti, Arunava Sinha and Amit Chaudhuri, moderated by Malashri Lal. Sunil Da Gangopadhyay was a versatile doyen of bengali literature. He had produced a rich body of works for more than 50 years that had captivated generations of readers.This session was a tribute to this great literary artist and his work. He was closely associated with JLF. 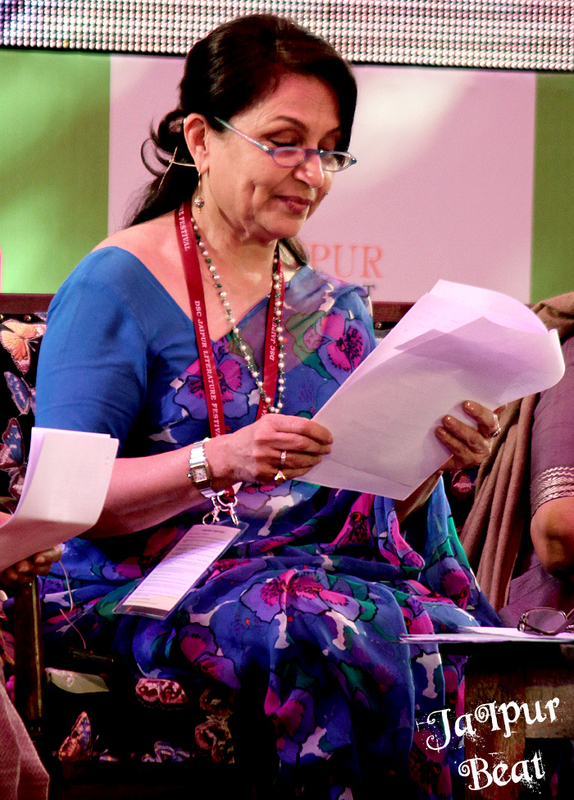 Sharmila Tagore, one of his novel reader said, “His writings were not inspired by Tagore, he was a modern writer”. She read ‘Neera’, which is one of his great work. Amit Chaudhary, one of the member on the panelist said, “He always recite his poemsin a visual manner”. Sunil Da passed away in October 2012. As a part of a tribute a short film of duration 6 minutes titled “In the deep blue see” was screened featuring his personal life and career. Also with the recording of JLF 2009 where he was one of the panelist. 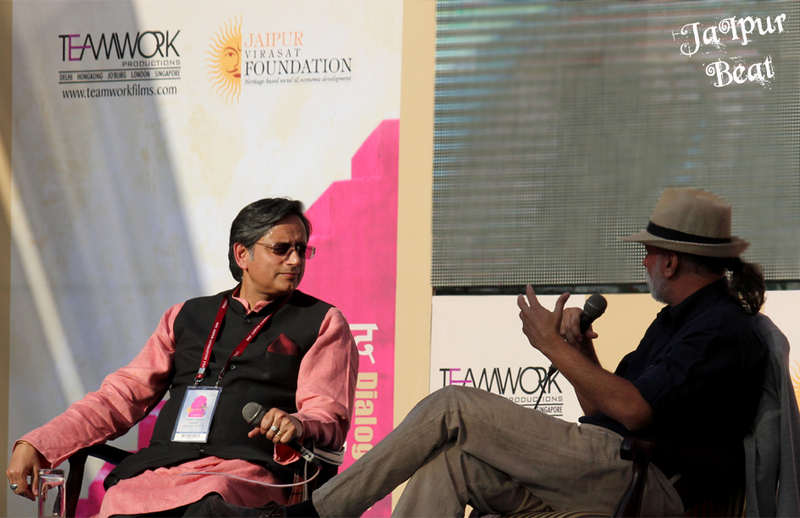 On the other side, another very interesting discussion was taking place, ‘Inside the Game, Outside the Game’ Shashi Tharoor in conversation with Tarun Tejpal.